Looking for deals in Auckland? Set in central Auckland, Haka Hotel Suites - Auckland City offers fully furnished apartments, most featuring stunning views of Auckland's iconic Harbor Bridge. Located right at K’Road, fifteen minute walk to Ponsonby Area. Chic and hip vibe. Super nice staff. The place was clean, and includes all the essentials, including kitchen ware. They even include a welcome pack of chocolates, cookies, and Nespresso! Balcony lookout over the CBD area. Beds were comfortable, and warm! Skycity Grand Hotel Auckland offers contemporary 5-star rooms and suites with views of Auckland Harbour and the city skyline. It’s amazing seriously look no further you have to stay here !! Amazing rooms we had the one bedroom suite , so clean and the food oh my god the food , the Italian restaurant gustos has the best breakfast ever !!! So yummy.. pricey but so worth it .. and for lunch and dinner it’s even better , We ate there 4 times in 2 days that’s how good the food is over there ... loved gusto. The location is also perfect , right smack in the middle of everything ... walking distance everywhere and finally the spa is great , after a long week of hiking it was the perfect relaxation treat ! Loved this hotel would def stay there again. Surrounded by the shopping and entertainment streets of the waterfront, Grand Windsor Hotel blends a protected historic building with chic, contemporary interior design. I arrived very early in the morning and the staff very kindly gave me early check-in which was most welcome. The included breakfast was great. Located next to Auckland International Airport, the Novotel Auckland Airport features elegant modern accommodations, a restaurant, a bar and a fully-equipped fitness center. The food on the first floor was great! staffs are kind and the room is comfortable. Located just a 3-minute drive from the airport terminals, Sudima Auckland Airport is a 4.5 star hotel offering free umlimited WiFi, complimentary guest parking and a 24/7 front desk service. Location, convenient transportation to airport, and excellent restaurant on site. 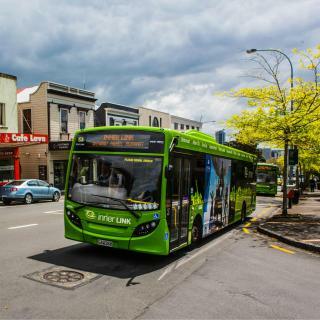 The Holiday Inn Auckland Airport is a 5-minute drive from Auckland Airport by bus or by shuttle, and a 25-minute drive from the heart of Auckland CBD (Central Business District). The location from airport is very close. Walking distance to area shops and pharmacy. Naumi Auckland Airport offers luxury accommodations with stylish rooms, surrounded by quiet gardens. A fitness center and Asian-influenced restaurant are featured. Amazing hotel, best we’ve stayed at! Room and facilities were fantastic! 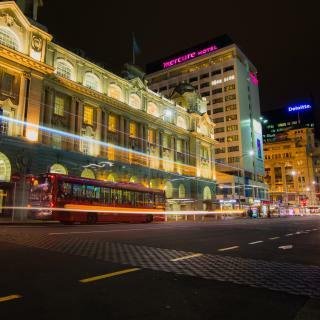 The Stamford Hotel is ideally located in the heart of Auckland CBD (Central Business District), 8 minutes’ walk from shopping and fine dining on Queen Street. Vector Arena is a 15-minute walk away. The hotel went out of its way to arrange for a room as requested . This is called five star service. Located opposite the Parnell Rose Gardens, Auckland Rose Park Hotel provides a range of hotel-style accommodations, just 5 minutes’ drive from Auckland city center. Free WiFi is available. Great location for our needs. Very clean. Friendly, helpful staff. Just a 5-minute drive from Auckland Airport, Jet Park Airport Hotel features a restaurant, lounge bar and swimming pool. Staff were very friendly and helpful. Rooms were well designed and well maintained. Offering quality affordable accommodations in the heart of Auckland city, Kiwi International Hotel is centrally located on Auckland's iconic Queen Street, close to all the main restaurants, bars,... Everything was perfect! The receptionist was super nice! Located in Auckland, in a building dating from 1990, 3.7 mi from Mount Smart Stadium, Airport Garden Inn Hotel & Conference Center offers a casino and guestrooms with free WiFi. Very comfortable and clean accommodation in convenient location. Located in Remuera, just 10 minutes’ drive from the Auckland city center, the historic Devereux Boutique Hotel offers heated accommodations with free WiFi internet access and free parking. The room was large and clean. I enjoyed the features of this historic hotel. Located in Auckland, 1.4 mi from Auckland War Memorial Museum, Boulevard Hotel features rooms with air conditioning and free WiFi. There were 3 of us, and they had 3 beds for each of us. Featuring city and ocean views, So/ Auckland is a luxurious urban hotel located in Auckland, within 1312 feet of Sky Tower and 1640 feet from the ferry terminal. Room was presented very well. You can watch telly from the toilet!!!! Located in the heart of Auckland city, Crowne Plaza Auckland is just a short walk from shopping, dining and entertainment options. Location and very friendly people at the restaurant. Offering spacious accommodations in the heart of Auckland CBD (Central Business District), CityLife Auckland features a fitness center, an indoor heated pool, a restaurant and a bar. We had great room n I’d like to recommend... Shaun, grace, n mike at front desk. Located in the heart of Auckland's waterfront district, overlooking the thriving Viaduct Harbour and surrounded by designer boutiques and award winning restaurants, Grand Mercure Auckland boasts 207... I was there with my daughter to go to the concert Celine Dion. Waipuna Hotel offers 4-star accommodations just 15 minutes’ drive from Auckland city center and Auckland International Airport. Large hotel but with generally good service. Great room and very comfortable. Pullman Auckland offers stylish accommodations with views of the city center, harbor and surrounding parks. Guests have access to an award-winning day spa with heated pool, sauna and steam room. The view from the hotel bedroom. The service from staff was impeccable . The average price per night for a 3-star hotel in Auckland this weekend is $303 or, for a 4-star hotel, $391. Looking for something even fancier? 5-star hotels in Auckland for this weekend cost around $756 per night, on average (based on Booking.com prices). Which hotels in Auckland have nice views? 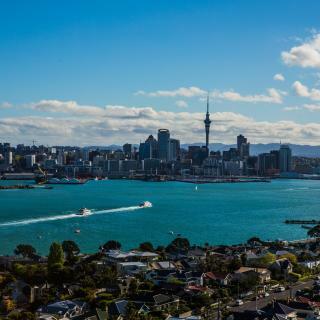 M Social Auckland, Haka Hotel Suites - Auckland City, and Four Points by Sheraton Auckland got great room view-related reviews from travelers in Auckland. What are the best hotels in Auckland near Auckland Airport? Travelers who stayed in Auckland near Auckland Airport (AKL) have said good things about Novotel Auckland Airport, ibis Budget Auckland Airport, and Sudima Auckland Airport. Which hotels are the best ones to stay at in Auckland? M Social Auckland, Cordis, Auckland by Langham Hospitality Group, and Haka Hotel Suites - Auckland City are some of the popular hotels in Auckland. On average, it costs $137 per night to book a 3-star hotel in Auckland for tonight. You'll pay around $193 if you choose to stay in a 4-star hotel tonight, while a 5-star hotel in Auckland will cost around $383, on average (based on Booking.com prices). What are the best hotels in Auckland near Spark Arena? Some of the best hotels in Auckland near Spark Arena include TOWNY - Character Apartment - 2 Bedrooms, Adina Apartment Hotel Auckland Britomart and Pullman Auckland. Which hotels in Auckland offer an especially good breakfast? For hotels in Auckland that serve highly-rated breakfasts, try Crowne Plaza Auckland, Four Points by Sheraton Auckland, and The Sebel Auckland Manukau. How much does it cost to stay in a hotel in Auckland? On average, 3-star hotels in Auckland cost $83 per night, and 4-star hotels in Auckland are $101 per night. If you're looking for something really special, a 5-star hotel in Auckland can be found for $170 per night, on average (based on Booking.com prices). Which hotels in Auckland are good for couples? These hotels in Auckland are highly rated by couples: The Sebel Auckland Manukau, Sofitel Auckland Viaduct Harbour, and Hotel DeBrett. 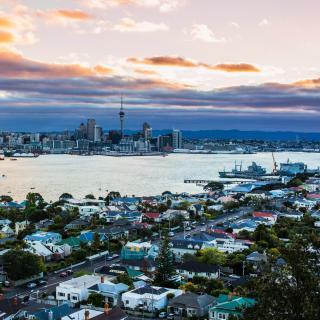 Which neighborhood is the best one to stay at in Auckland? Mangere, Auckland Central Business District, and Viaduct Harbour are popular with other travelers visiting Auckland. Which hotels in Auckland are good for families? Many families visiting Auckland loved staying at SO/ Auckland, Four Points by Sheraton Auckland, and CityLife Auckland. Called the "City of Sails" due to the large number of yachts anchored in Waitemata Harbor, Auckland is the largest city of both New Zealand and Polynesia. Built on the Auckland Volcanic Field featuring about 48 extinct volcanoes, this city truly is a blast! Auckland is a real cultural mix with strong Asian, European, Maori and Polynesian influences, celebrated in frequent festivals and sports events. Some examples of these cultures can be seen at the Auckland War Memorial Museum, one of the best in New Zealand. For more, try the upmarket dining of Viaduct Harbour. Another must-see is the tallest free-standing tower in the Southern Hemisphere, the Sky Tower. If you’re feeling up to the challenge, you can even perform the Sky Jump, a controlled base jump from 630 feet! 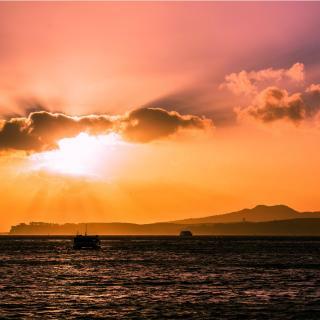 Climbing the volcanic cones as well as the stunning Auckland Harbour Bridge will provide unforgettable, panoramic views of the city’s skyline. For a different perspective, why not try a cruise or sea kayaking? 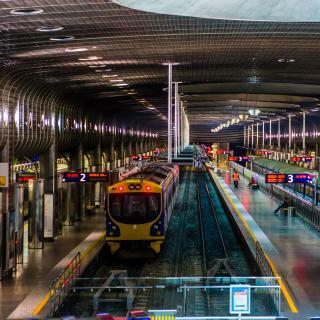 Getting to the city center is an easy trip from Auckland International Airport. Find modern hotels, comfortable motels and cheap hostels on Booking.com, sure to have the perfect place to stay for your trip. As a local, I'm slightly biased but Auckland has a lot to offer and not just a stepping stone to RotoVegas (Rotorua!) Avoid coach tours & masses of Asian tourists. On foot checkout the Viaduct, Wynyard Quarters & Britomart. If you have a car, go to Ponsonby and Herne Bay for a step back in the Victorian past & also great restaurants, cafes & shops. For the adventurists, take a ferry to Rangitoto Island and climb to the top (2 hours) - take plenty of water and good walking shoes. Its NOT a walk in the park. Also a ferry to Devonport on North Shore & Waiheke Island for world class wines & beaches. Many tourists at the quay made it a bit chaotic and there was construction going on. We rode our bikes for many miles and thoroughly enjoyed it. Nice and flat for bicycles and pedestrians. Interesting landscape with lots of hills. Bus service was good and people were helpful. The Ponsonby Road area was very nice with many shops and restaurants. Great place to wine and dine if your into that plenty of cafes, stayed in Auckland city centre. Night life is average but a lot to choose from Restaurants there are some really good ones but expensive we had a bite to eat at Gyosa Bar in Ponsonby staff really friendly and good service. Uber any where is easy when there are no events on in the city, Taxis a bit more expensive. Truly a magnificent and joyful experience. Truly a magnificent and joyful experience. One of the best places I stayed in, catering for people, off street parking is a bonus. All my time was staying in and celebrating my 50th Birthday. Close to Countdown shops, very convenient to top up supplies for the BBQ. Location great! The hotel was terrible and expensive. Sightseeing was wonderful. Love the city, disappointed with the hotel. Very, very small and too expensive for what you get. The breakfast in a box was a joke and you pay for it. The rental house is excellent. Even though it is not near the Central Business District, it is near a local shopping community and Auckland airport. The host is super friendly and thoughtful. The breakfast is beyond expectation. We stayed in double room with private bathroom and the facilities were very nice and cosy. The bed is super comfortable. We also like the lovely garden around the house. If we go to Auckland, we will definitely think of this property. Highly recommended to couple and family. Close to the airport and Villa Maria Estate, Sudima Auckland Airport is a very well appointed, comfortable hotel. It is not a budget hotel, but not at the top end either. 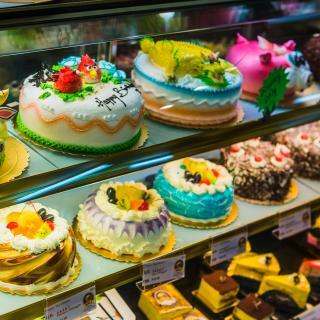 The restaurant does good meals and the buffet breakfast is fine as well. Rooms are moderate size and comfortable, though not super well lit if you need to do work. WiFi is free, though not the fastest, and you are likely to get cut off a midnight the morning you check out. Everything!. Perfect location to Queen Street and SKy Tower. Easy walk to Viaduct Harbour. Room clean and TV great size. We had a room with ensuite and our friends had their own room with an ensuite. Rooms were connected by a kitchen in between. Manager and Staff very friendly and helpful. Gave us the cheaper option of taking shuttle from the Hotel than taking Express Airport bus. Very good value for money. Ibis budget is very close to the Auckland domestic and international airports, there is a bus that collects and drops you at the hotel from the airport also for around $5. Restaurant below accomodation and a few cafes. The bedroom is clean with modern facilities. The front counter was very helpful and accommodating, able to look after your luggage after checkout as well as advise of local eateries in the area . We can’t thank you Heather and Roy enough for their great hospitality during our stay in Nov 2018. Their house is so clean and tidy with lovely design. You basically have everything you need and can’t ask for more. There are lots of choices for food nearby, it’s a perfect location to stay in Auckland if you want to get away from the busy city centre. Highly recommend! Very centrally located for the CBD and 5 metres from an airport SKYBUS stop. Budget accomodation done well, clean and well equipped room. Also unlike other hotels at this price, the room had a kettle with hot drink options and bathroom products. 2 bottles of water left in the fridge each day too, which was a nice touch. A really comfortable 4 night stay! We stayed there for three nights in summer. It's brand new and centrally located. The room was spatious and clean. The staff very friendly (they gave us free late check out). More than recommended when staying in Auckland. The bus stop for the Airport bus leaves directly in front of the hotel. Location is close to airport and motorway to get into Auckland CBD or South Auckland The new tunnel means it only takes approx 20 mins into CBD. Lots of parking spots at Hotel. Wonderful attentive and authentic service from staff. Restaurant facilities and food is of a high standard. The location is great as we were only spending one night in Auckland, the airport is very close and there is a bus stop right in the corner, by public transport it took us around 40 minutes to get to the city centre, the place is clean, it has the basic facilities for one night. Walkable to the harbor . Not too far from the Skybus drop off point from the airport . Very Comfortable beds . Delicious gourmet plant based vegan food in the hotel restaurant. Rooftop pool with views of the city . Indoor lap pool and sauna . Great staff - very helpful . Easy to get to off the northern motorway. This hotel is convenient if heading to or coming to Auckland from the north. It has free onsite parking and is cheaper than an equivalent hotel in the city. It’s very conveniently situated in the parking area of Auckland International Airport, just across the road from the terminal. An excellent hotel with a restaurant that serves great food. This unit was very neat and clean. It had a location between the airport and downtown Auckland. It was a good place to stay for my travel plans. It is right in the city in a pretty quiet street . Great facility in a modern building. Best budget place in Auckland. Some parking available. Large hotel but with generally good service. Great room and very comfortable. Location great for getting around with a car. Everything was perfect! The receptionist was super nice!